I’m not a fan of “click-bait” headlines, but I couldn’t resist writing one for this blog post…because it’s true! While I can’t guarantee the same results in your area, I hope this will help if you’re ready to fill up your studio! I ended up paying around $15 per sign including the stand, and they arrived at my house within a week. In the week it took for the signs to arrive, I started to notice other signs; where they were placed, if they were easy to read or easily caught my attention and made my plans for putting my signs in the best locations. My city has strict rules about where to place signs (not really close to the street) and I also wanted to get the most bang for my buck and place the signs in locations where families were more likely to see them. 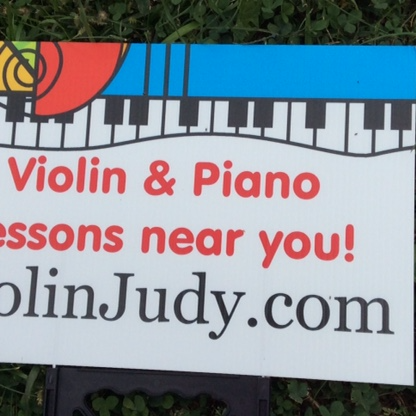 I looked at where my current students come from, and knowing that there are plentiful piano teachers and fewer violin teachers in my area, I decided to place some signs near where current students live (suburbs) and some very near my house. I had 2 sign designs as well. 2 signs said lessons 3 and up…and I placed these near preschools. 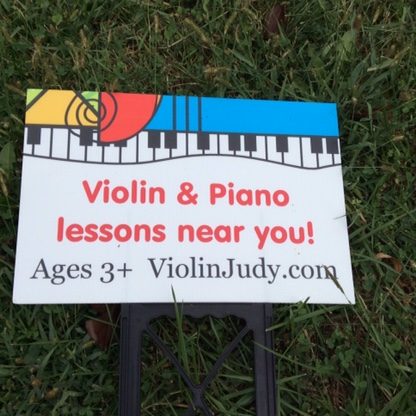 2 signs that just said “lessons near you” with much larger text I placed near elementary schools. There was a concert series every Thursday night very close to my home and I would place signs near the entrance to that, and I was motivated to keep my signs and moved them every other night. My family was motivated to help me rearrange my signs by an ice cream cone afterwards, and we had a lot of fun trying to remember where we kept moving them to, until we started making a list. We moved the signs around for about 2 weeks. Traffic and safety meant that we went late at night when there were fewer cars on the roads. The downside to signs is that they can blow away, get taken or just vanish. This happened to 2/4 of my signs. However by the time this happened I had plenty of response to my ads. You will notice that I did NOT put my phone number on my signs. After 20 years of teaching, I no longer use my phone number in advertising. I am able to weed out parents who aren’t ready to commit seriously to lessons by having them read through basic information (the FAQ’s) on my website first. I have a life and a family, so using my office hours wisely and efficiently is important, and answering the same questions over and over used to get on my nerves. It may seem cold and harsh, but you are actually making yourself seem more professional when you field potential clients this way and letting them know that your time is valuable. 2 months after I ordered my signs I had filled every spot open in my studio and had a nice waiting list as well. I found some wonderful students that live right in my neighborhood who hadn’t realized that I had just what they wanted, and only a few blocks away! IF you live in a large city where many are tech savvy, I think Facebook Ads and Thumbtack are great options for finding new students, but for my midwest town, the yard signs did the trick. I hope this post helps you find more students too! 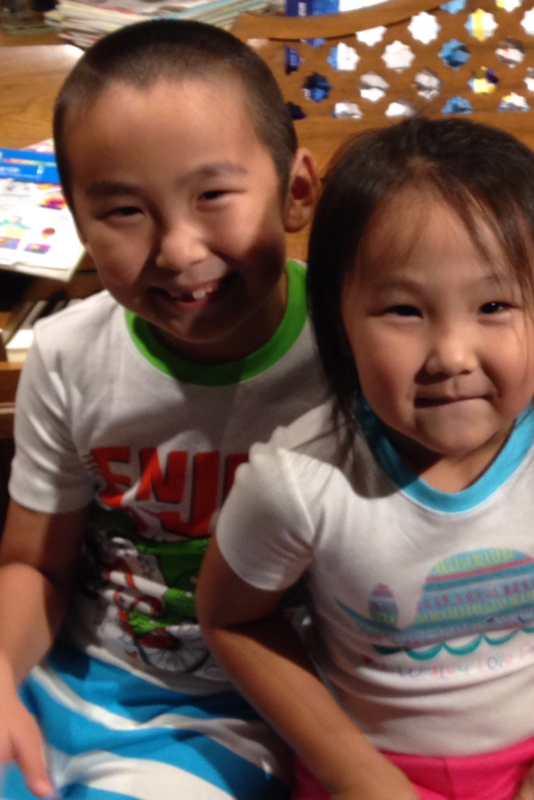 Some of my new students who were a “sign find.” We all enjoyed pajama week the last week of summer vacation!